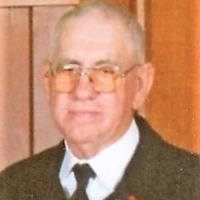 Charles R. Emmert, Jr. (Charlie), 75, a lifelong resident of Joplin, passed away peacefully at his home on Jan. 1, 2019. Charles was born Feb. 15, 1943 in Joplin to Charles and Kathryn (Hailey) Emmert. He was a member of Fellowship Baptist Church of Joplin. Charles was a wrecker driver for R&S Chevrolet and a truck driver for over 45 years for Thomas Fruit Co. and WCA/Sunray. He was a member of the Joplin Teamsters Local 823. He was a classic car enthusiast and collector, restoring many classic cars over the years. Charles was a member of the Heartbeat Chevy Club since 1993. Charles married Linda (Putnam) on March 28, 1969; she survives. He is also survived by two sons, Randy Emmert (Shelly) of Neosho and Bryan Emmert of Joplin; three grandchildren, Emily Emmert of Neosho and Jackson and Grant Emmert of Webb City; two sisters, Jeanette Emmert and Kathy Smith (David, Sr.); one brother, Byron Emmert, all of Joplin; sister-in-law and brother-in-law, Sharon Hoagland (Forrest) of Grove, OK; and numerous nieces and nephews. Services will be held 2:00 pm, Friday, Jan. 4 at Fellowship Baptist Church, Joplin, with Pastor Rob Signs officiating. Interment will follow at Ozark Memorial Park Cemetery, Joplin. A time of visitation will be held from 6:00 until 7:30 pm on Thursday, Jan. 3 at Fellowship Baptist Church, Joplin.